I do not have a good relationship with email. On a typical weekday I get several dozen PR pitches, most of which only receive a cursory glance before being thrown in the trash. I get so many emails that it makes reaching the elusive goal of inbox zero nearly impossible. As soon as I delete an email for a completed task, another one…or six pop up. So I was really excited when people started talking about Mailbox, an iPhone app that syncs with your Gmail account and encourages you to get down to inbox zero as quickly as possible. I’ve been using the app for a week, and with one big exception when the company’s servers had a hiccup and caused the service to go down for most of the day, Mailbox has been an absolute blessing. By default, the app’s notification badge tells you how many messages are still sitting in your inbox. Not unread messages, but total messages. If you’re as obsessive with your inbox as I am, that encourages you to check the app and deal with it right away. If you’re not ready to deal with an email, you can swipe it out of your inbox and tell it to return later when you are. You also have the option to swipe the message to the right and delete or archive it. Even if I have a dozen or more emails waiting for me when I wake up in the morning, I can blast through my inbox in a few seconds. I’ve never used an email app that’s so efficient. 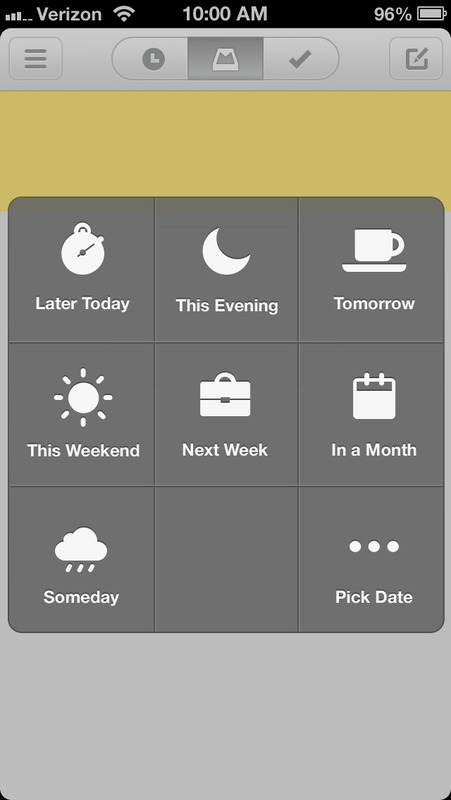 Of course, Mailbox isn’t for everyone, and there are still a few quirks I’d like to see fixed. 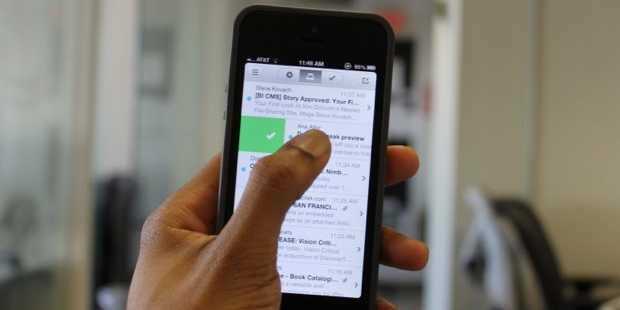 Mailbox only syncs with Gmail, so if you use Yahoo, Outlook, or Exchange, you’re out of luck. (Although I’m sure Mailbox plans to add more of those services once it gets through the initial launch). If you are a Gmail user, but you rely on filters and folders, you’re out of luck too. Mailbox only pulls in messages stored in your inbox and the “All Mail” section of Gmail. And finally, Mailbox won’t let you search your archived messages, meaning you’ll have to check your computer or the regular Gmail app if you need to find something. And finally, it’s only available for iPhone, but the company has said it’s working on desktop and Android versions. (Keep in mind Mailbox is still a tiny startup, so it could be a while before it lands on other platforms). Drawbacks aside, Mailbox largely fixes a problem most of us have with email: quickly getting rid of the junk we don’t want, and saving the stuff we do for later. You’ll want to give it a try.